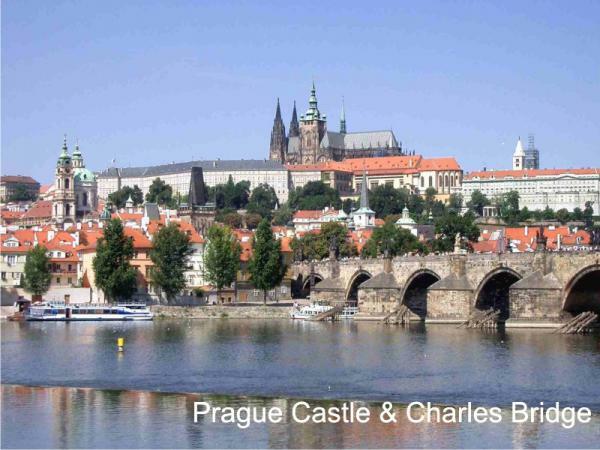 The Prague Castle has been the seat of Czech princes, kings and presidents for more than 11 centuries. During this time, it went through times of boom and temporary decline and expanded to today’s respectable size. Did you know that according to the Guinness Book of Records, it is the largest castle complex in the world? Castle guards guarding all entrances to the Castle in almost any weather. The three large courtyards. 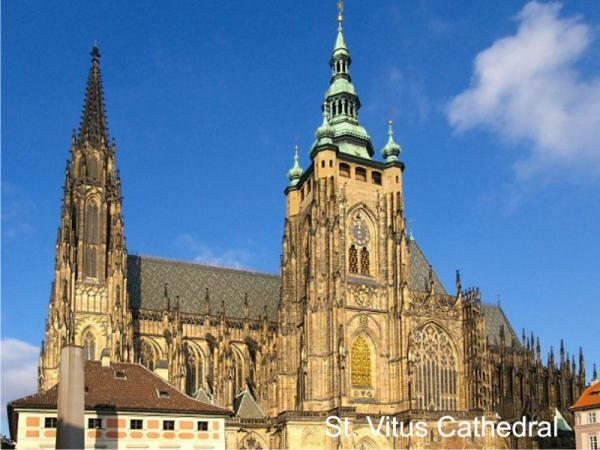 The Cathedral of St. Vitus that took our ancestors almost six hundred years to build (from 1344 to 1929 to be precise). The Royal Palace. The Basilica of St. George that is also a practical “textbook“ of historical architectural styles. The Old Burgrave Residence. Beautiful views from the southern gardens of the Prague Castle. This is just some basic information. In addition, I will tell you many interesting things that you will not find in regular guide books. Do you know for example how many times St. Wenceslas, the Czech patron, was depicted at the Prague Castle, from which window the viceregents Slavata and Martinic were thrown, where the moats used to be in the past or why Prince Bořivoj picked this hill over the Vltava River as his seat and thus laid the foundations of the future glory of Prague? You will learn all this and more if you take a walk with me around the Prague Castle. Prague Castle is one of the main sights of Prague. 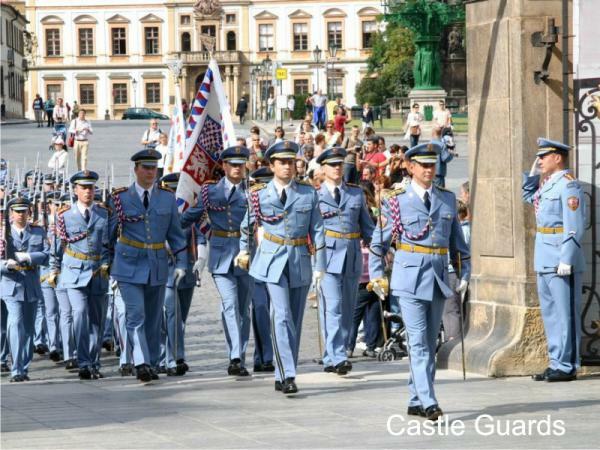 With the tours Best of Prague and Explore Prague in 2 half days you will get an overview about Prague Castle. I can also arrange the in-depth tour of Prague Castle interiours as a tailor-made tour or as part of you One day in Prague tour.